If there's one sartorial mission that pretty much all women have in common, it's the hunt for a comfortable pair of heels. (Unless, of course, you're more of a sneakers gal.) As a team comprised mainly of women, the Who What Wear editorial staff can certainly relate. To that end, we each racked our brain to come up with a single pair of heels that stands out as memorably comfortable. And when we compiled our picks, we noticed something: Almost all of us picked a pair of sandals with a wide toe base and a chunky heel. The exact style, colour, and silhouette obviously vary, but that general shape reigns supreme. Keep scrolling to see (and shop!) the Who What Wear editors' guide to the most comfortable heels of all time! "I can wear these pumps for more than eight hours, no problem! The leather has moulded to my feet perfectly, making them my go-to heel when I know I've got a long day on my feet ahead of me." "It's all about the three-inch chunky heel. I could walk all day in these suede sandals." "The most comfortable heels I've ever owned were a pair of Topshop platforms similar to these. 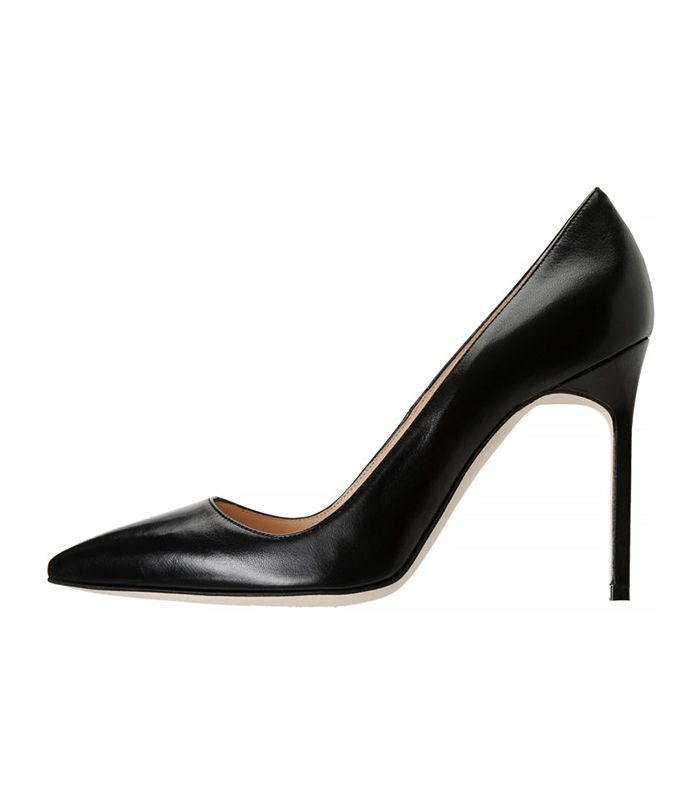 They're the perfect ratio of heel to platform, so your foot isn't arched too much. And the chunky heel just makes it even better." "I bought these on a whim the first week I started working at Who What Wear, and they've carried me comfortably through all manner of meetings, parties, and fashion week shows. They're great for showing a little skin without sacrificing the better support of a closed-toe shoe." "These mules are without a doubt the most comfortable heels I've ever owned. Perhaps it's because the heel is cylindrical, but my feet have literally never hurt while wearing them. Even for hours at a time!" "I feel like these heels have kind of become a classic at this point; they never go out of style and work for day or night, but the best part is how ridiculously comfortable they are. They're all cushiony (even the straps! ), and miraculously, the toe doesn't pinch. They're also the definition of true to size, which can be rare when it comes to designer heels." Thanks to the block heel and slingback strap, I can wear these heels all day minus any pain. And to think I almost passed them up at a sample sale!" "I give Sam Edelman so much credit: The man really knows how to craft an affordable pair of heels that don't hurt. These are my go-to sandals for nighttime events, dinners, and parties; they are the only heels I've ever owned that allow me to forget I'm even wearing heels!" What are the most comfortable pair of shoes YOU own? Tell us in the comments below!